Unearth the Work: What Is Lupus? Ideally, nobody should ever have to hear sentences like: “Lupus is chronic, inflammatory disease that affects the immune system.” Yet roughly 1.5 million people in the United States, including an estimated 10,000 children have unfortunately had to confront the challenge of dealing with having Lupus. To better help the world to understand this collection of complex diseases, our studio worked closely with the non-profit group Rheuminations to create “What is Lupus”. The 17 minute animation presents the viewer with a review of what an auto-immune response system looks like in the body of an average woman versus what that same response might look like within the body of a woman afflicted with Lupus. It does so with illustrated characters that are friendly looking enough to appeal to youngsters while not tuning out adults who may be doing research for a loved one or for their own condition. In order to tackle this complex disease, The Chopping Block met with and was instructed by some of the best Rheumatologists available on the US east-coast. Several meetings were set-up to discuss the decipher the inner workings of the body and the cells that play a part in what would become a cohesive overview of the disease. Over the course of these meetings the overall content was story-boarded (see below) by The Chopping Block, revised and ultimately approved by Rheuminations as well as the rheumatoid specialists involved. Voice over is by Charles Osgood of CBS’s Sunday MorningView. Script by Lisa Goldman & Katherine M. Snider. Music written and performed by Justin Dello Joio. 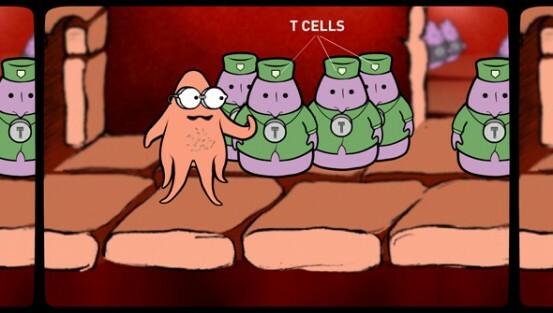 See “What is Lupus for Rheuminations” from Chopping Block on Vimeo or go to dxlupus.org for the full animation. LOVE THIS! Thank you so much! 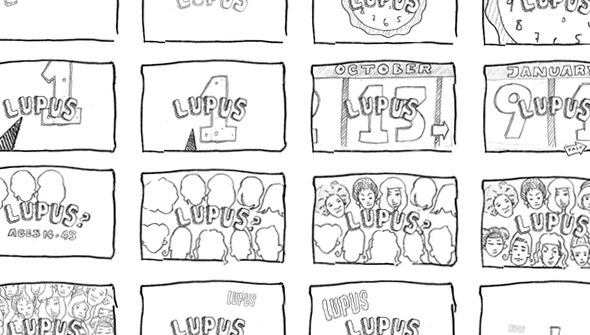 I’m going to share your entry with others in light of october being national lupus awareness month! Thank you!